Can I Keep my House after Filing Bankruptcy? Will I be able to keep my house is often one of the first questions I get asked when my phone rings. Many assume that they will lose their house when filing a bankruptcy. This is almost never true if you are up to date with your mortgage payments and will be able to stay up to date. Most of my clients keep their homes if that is what they wish to do. These days, however, it might be that the time has come to let the house go. 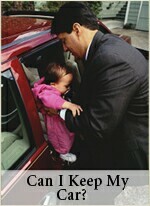 There are an increasing number of my clients who have decided that they would like to give up their homes. It can be a hard decision to make, but often the best choice if one looks at it strictly as a financial issue. If that is the decision you have made, a bankruptcy can be very helpful to make sure that the holder of the second mortgage will not be suing you after the holder of the first mortgage forecloses. In Minnesota when a first mortgage holder forecloses, it almost always will just take the house without coming after the former home owner for any additional funds. So if all you have is one mortgage, you won't be needing to file a bankruptcy to make it go away in the event that you want to give up your house. This is a rapidly changing area of the law. On this page, as with the entire site, I am speaking in generalities. There could always be specifics which in your case could change the outcome. I'm only trying to give some general information about a topic which is very complicated. When I get questions from people who are obviously trying to file a bankruptcy petition without the help of a lawyer, I usually say two things: 1) you are making a big mistake and 2) please don't rely on anything I said. With few exceptions the general rule is that bankruptcy only eliminates debts; it does not change or eliminate property interests. If a lender has a first or second mortgage on your house, that lien is a property interest. So when you get your bankruptcy discharge, either as a result of a Chapter 7 or Chapter 13, your personal obligation to pay is gone, but the lender still has a lien on your house. As discussed below, a lien successful strip would certainly be an exception; but as is also discussed below, those are not that easy to do. On the day you file your case, a court order is issued in the form of a notice to all the creditors which contains what they call the automatic stay. In legalese the word "stay" usually means "stop." 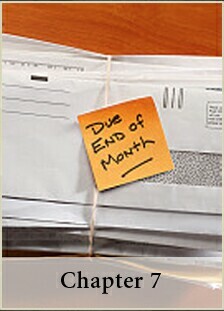 What the creditors are required to stop is any and all efforts to collect any debt you may owe. At this point, as a practical matter, you will as a result probably be allowed some breathing space if you are behind in your house payments. However, if you are behind more than one payment, the creditor can bring a motion and ask to have the stay lifted. This is very common; and if it happens there is almost no defense to the motion except to get the payments up to date. The attorneys who bring the motion will also add an attorney fee to the balance of your mortgage, but with any luck they will just add that to the tail end of the mortgage and not require that it be paid up front. I've always thought that the practice of bringing these motions is a despicable thing to do in a Chapter 7 case, because the automatic say will expire on the day the discharge is issued- usually about 90 days after the case is filed. In a Chapter 13, however, the discharge comes at the end of the payment plan three years or five years after filing. So in a Chapter 13 the lender will not be likely to wait very long before bringing a motion to lift the stay after you have missed a payment or two. The discharge contains an injunction - another kind of court order about what one is not supposed to do - which prohibits the creditors again from any effort to collect from you personally. BUT this injunction is a bit narrower than the automatic stay in that it permits the creditors to take action against any security in which they have a right. In other words, they can't sue you or take your money, but they can start a foreclosure if you are behind in the payments. A reaffirmation agreement is a contract that reinstates a debt as if the bankruptcy never happened. You have to look at them closely, however, because sometimes they change the original terms. They have to be filed with the court before the date of discharge. They also have to be approved by the judge assigned to your case. If your lawyer will sign off on the agreement, the judge will probably not require a hearing before approving. If your lawyer won't sign off on the agreement, then you still have a right to do the agreement, but there almost certainly will be a hearing. What I am about to say here only applies to people who are residents of Minnesota and who have filed or are about to file their bankruptcy in Minnesota. There may be other states where what I am saying is not true. If you are from somewhere else and this doesn't sound right, that's probably because for you it isn't. Reaffirming a mortgage is almost always a bad idea. There just is no reason to do that in Minnesota. 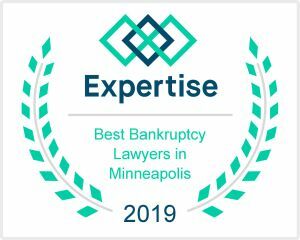 It seems well accepted here that filing a bankruptcy and not reaffirming in Minnesota does not create any sort of breach of the mortgage that would be grounds to foreclose. On the contrary, it seems to be well accepted here that about the only reason they can foreclose is if you don't make the payments. I almost always refuse to sign off on reaffirmation agreements for mortgages. For me to agree to a reaffirmation of a second mortgage might actually be malpractice. There is only one time I can remember when I agreed to sign off on a reaffirmation of a first mortgage, and that was under very unusual circumstances. Reaffirmations are usually just not done in Chapter 13 cases. In a Chapter 13 bankruptcy, assuming there is a house with a mortgage that you want to keep, the payment Plan will require that the loan is to be paid. Most of the time the plan will say that you will just pay the mortgage directly to the lender yourself as you did before. The Plan is legally binding on you and the lender, so once it's confirmed you shouldn't be hearing any complaints from the lender - because the plan is a lot like a reaffirmation agreement. The 2005 legislation provides that the forms required for reaffirmation agreements must contain a certification that the payment of the reaffirmed debt will not create a hardship. If you can't say that it won't create a hardship, you have to explain how you will pay even though it is a hardship. The kind of statements that are required are awkward to say the least. The fact is that every financial expense creates a hardship in the life a debtor who qualifies for a Chapter 7; so it tends to become very difficult for any Chapter 7 filer to do a reaffirmation without lying under oath. Everything in the reaffirmation agreement is said under penalty of perjury and has to be filed with the court - before the date the discharge is granted. The main reason to not reaffirm, however, is that yes it does reinstate the debt. Where without it you don't have a personal obligation, with it you do. This makes it especially a bad idea with second mortgages. 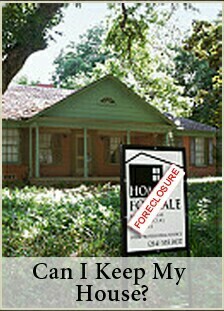 In the event of a downturn of your fortunes, the first mortgage holder in today's market will ordinarily foreclose, take the house and go away; but the second mortgage holder will ordinarily sue you for the whole balance of the loan. After discharge in bankruptcy and WITHOUT reaffirmation, they can't do that. When a bankruptcy is filed, some mortgage lenders will discontinue sending monthly statements and may also cut off access to the lender's web site. If the creditor set up an automatic payment from your pay check or checking account, the lender may discontinue that. This is because creditors are under court order to leave the debtors alone. 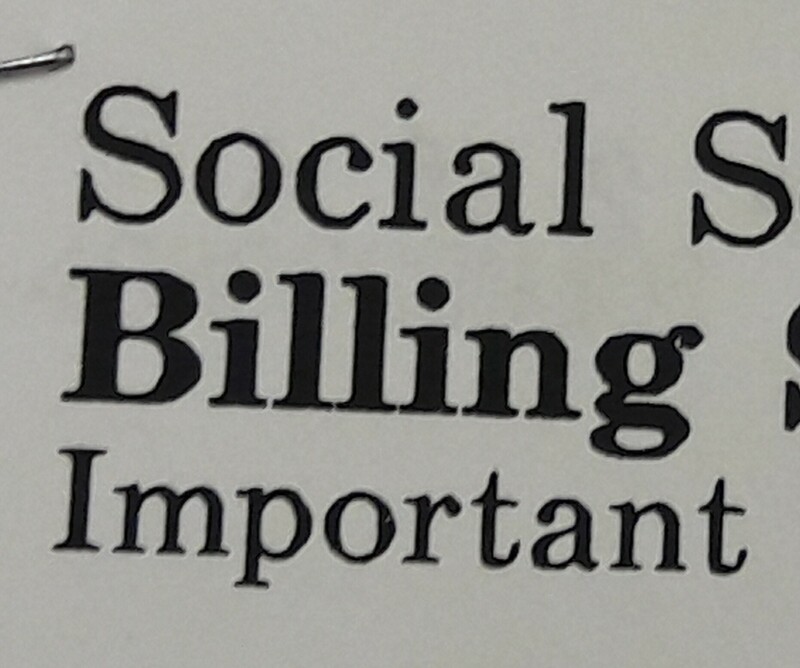 For clients who want to keep their homes, I suggest that they should make some extra copies of their monthly statement before we file the bankruptcy, so that if the statements stop coming in the mail, they still have everything they need to make the payment. Mortgage lenders never seem to refuse to accept a payment. They will, however, stop telling the credit bureaus that you are making the payments - more below on that. My experience has been that if either I or my clients politely ask - sometimes repeatedly ask or even beg, in writing if necessary - the mortgage lender will eventually start sending the monthly statements again. They won't all do it, but most will start sending statements again if requested to do so, especially after the date of the discharge. You will want to be very careful to keep your own records of the payments you make. These may be handy years down the road, particularly when you are trying to obtain more credit. You will probably find that the mortgage lender has stopped reporting to the credit bureaus that you are still paying your mortgage. Your credit report may say that the balance owing on your mortgage is zero because it's been discharged in bankruptcy, and that's ALL it might say. This is often frustrating - and in my blog I have called it a "despicable practice." This will mean that to refinance or get another mortgage later, you might have to do some extra work to prove you've been making those payments. I don't claim to be any kind of an expert on credit repair or credit reports. All I know is what my clients report back to me. The good news in that regard is that I do tend to hear from my clients anywhere between three and five years after we are finished with the case - and what I hear is something or other about how they are refinancing something or buying something. This of course means that they are getting their credit back. Do I think that the extra convenience of having monthly statements and reports to the credit bureaus is worth all the down sides of a reaffirmation agreement? No I don't. One problem I haven't seen much of lately is too much equity in a homestead. It's unusual if there's any at all. The house is considered to be an asset for bankruptcy purposes only if there's equity. When you file a Chapter 7 bankruptcy, ownership of all your property, including your house, is transferred temporarily to a Trustee appointed by the court. 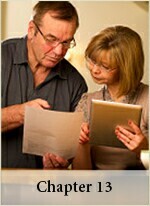 In order to get the trustee to allow the house to transfer back to you, it must be claimed as exempt. In Chapter 13 the Trustee won't want to claim the house for the creditors, but your Chapter 13 Plan payments will have to be high enough so that the unsecured creditors receive what they would have received if it was a Chapter 7. In other words, if you have non-exempt assets in Chapter 13 your payments into the plan have to be high enough to cover what would amount to buying back the asset. See my Bankruptcy Exemptions page for a list of the exact amounts that you may claim for your homestead exemption. You claim the equity you have, not the actual value of the house. In other words, the figure you use for claiming the exemption is the value minus the amount of the loan or loans. These exemptions protect the asset from the bankruptcy Trustee, but they do not provide any protection from the mortgage lenders. These lenders have a lien which is an ownership interest. With few exceptions the bankruptcy does not change their ownership interest, and so such lenders have to be dealt with by at least continuing the payments if that is possible. In either Chapter 13 or Chapter 7, when you owe a lot more than the house is worth, the time may have come to surrender it to the lender. Forget about how much you like home and look at it from a strictly business perspective. Lien Strip: Second Mortages as Unsecured? The Minnesota Lawyer has a good article from December of 2011 on the subject of lien stripping. While the article is out of date, it does a good job of explaining the philosophy behind the procedure. It is a process in Chapter 13 bankruptcies involving people who have second mortgages. It has to be a situation where the value of the house is less than the balance on the first mortgage. The theory is that in cases where the homestead is worth less than the balance on the first mortgage, then the second mortgage is not really a secured debt. One prepares and files a Chapter 13 bankruptcy in which the second mortgage is put in with the unsecured debts. If it succeeds, the debtors should be able to come out the other end - usually after paying in on a Chapter 13 plan for five years - with only one mortgage on their house instead of two. This could really help a lot of people. In Minnesota this is a rapidly changing area of law. Better not count on what I say here as the final word, because it will probably have changed by the time you read this. On the surface the availability of the lien stripping process in Minnesota seems to finally be resolved. A new rule for how to proceed has been approved. The rule, however, seems to have been written by the creditors' attorneys with a view toward making the process as hard as possible. A motion and hearing are required for the purpose of determining the value of the house; and the possibility of a battle over that value seems very likely. 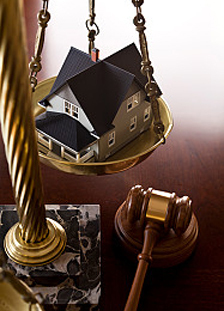 Expert testimony by a licensed appraiser would typically be required, with each side having thier own appraiser. The attorney fees required of the debtor could become very substantial. After considerable effort and expense, the chances of something going wrong are very high. It seems that when someone comes in to hire me to do a bankruptcy, they are not looking to jump into a situation where the amount of my fee will be open ended and could be run up to some undetermined but high number. They are not looking to get into some kind of a fight with somebody, not looking to take any extra risks, not looking for uncertainty. They are looking for the opposite of that, hoping for something simple and reliable that will get their life back on track. They want a whole lot less drama, not more. That is why as of the date of this writing I have not done or attempted a lien strip in any of my cases. In light of how difficult the new rule of procedure has turned out to be, I doubt I will ever be doing lien strips. Right now in my opinion it just isn't worth the effort, expense and risk in most cases. I know lawyers who are going full steam ahead with this, however, and I could refer you to one it you'd like to at least look into it. Across I-394 from Ridgedale. Serving the entire Minneapolis and St. Paul area, with easy access from the western suburbs including Minnetonka, St. Louis Park, Golden Valley, Hopkins, Eden Prairie, Maple Grove, St. Michael, Waconia, Medina and Plymouth. Also availabble by appointment only at 8421 Wayzata Blvd., second floor, St. Louis Park, MN 55426.